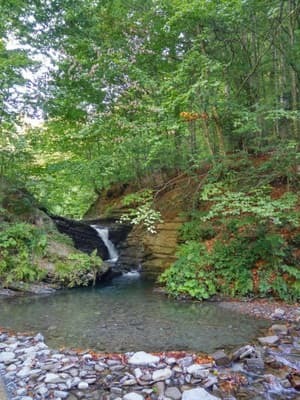 The private estate "U Sergey" is located on the slope of the mountain, 500 meters from the main road, from where you can see a beautiful view of Polonin Runa and the gorge. 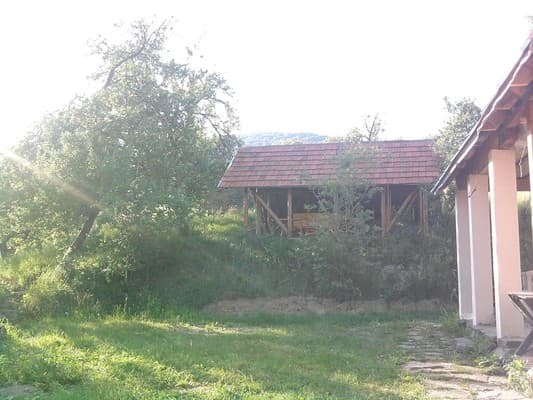 Offers for living a two-storey house, which is equipped with comfortable wooden furniture, as well as everything necessary for comfortable living. 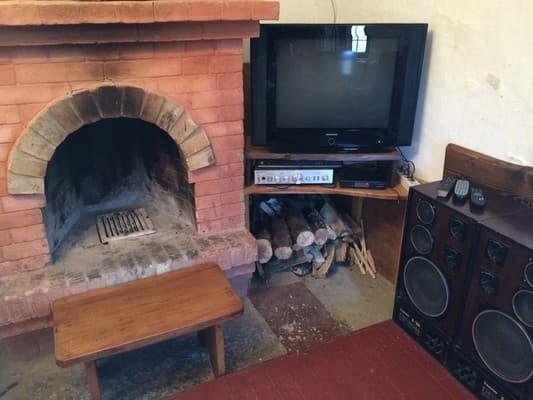 On the first floor of the cottage there is a fully equipped kitchen-dining room and a living room with a fireplace, as well as a TV with satellite TV. 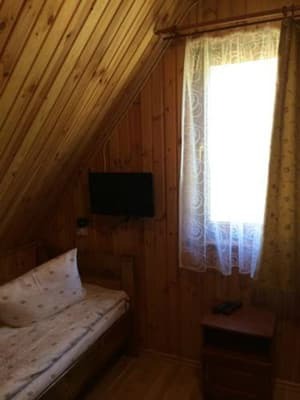 On the second floor - one double and one triple room. 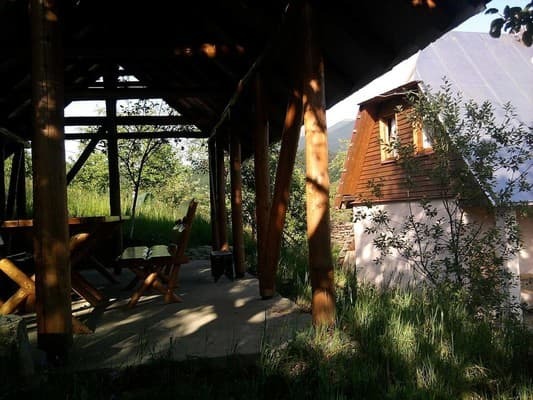 In the courtyard there is a gazebo for 15 people, from which a beautiful view of the local surroundings opens. Guests can be provided with such entertainment activities as: hiking, picking up mushrooms and forest berries, and in winter - skiing. The distance to the city of Uzhhorod is 47 km. 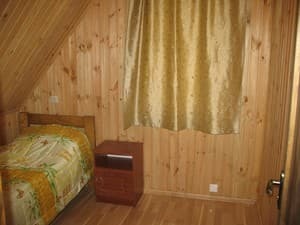 Description of the room: Two-storey cottage is fully equipped with everything necessary for comfortable living. On the ground floor there is a kitchen-dining room and a living room with a fireplace, where there is a single and double bed, as well as two folding armchairs. On the second floor there is one double room and one triple room. Only on existing beds. Additional places are not available. The cottage has an equipped kitchen for self-cooking. It is located on the slope of the mountain, in the upper part of the village (500 meters from the main road). From Uzhgorod to Lumshory there is a regular bus (via Perechyn bus station).